The tax-strapped Nets went all in for 2013-2014. 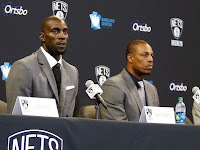 They kept starters Deron Williams (who will receive tutelage from freshly minted coach Jason Kidd), Joe Johnson and Brook Lopez, and they upgraded their SF and PF spots by swapping Gerald Wallace and Kris Humphries (plus MarShon Brooks, Keith Bogans, Kris Joseph and three first-round picks) for Hall of Famers Paul Pierce and Kevin Garnett (plus former Dallas sharpshooter and Sixth Man of the Year Jason Terry). Reserve forward Andrey Blatche, who averaged 10.3 PPG and 5.1 RPG in 82 games last year, re-signed for a modest $1.4 million contract. Rebounding dynamo Reggie Evans and European forwards Tornike Shengelia and Mirza Teletovic also remain on the roster from last year. Brooklyn missed out on Kyle Korver early in July, but the team still managed to pick up Swiss Knife forward Andrei Kirilenko, former Raptors swingman Alan Anderson and point guard Shaun Livingston, who averaged 6.3 PPG and 3.3 APG in 22.0 MPG for the Wizards and Cavaliers last season. Forward Mason Plumlee (the No. 22 pick in the NBA Draft) adds some size. 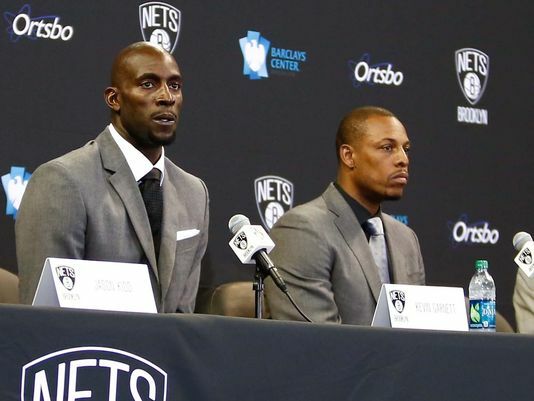 The Nets mortgaged their future for short-term succes, but it could work. Their starting five combines for 35 All-Star appearances and their bench contains weapons for every occasion. If Coach Kidd does things right, him and his veterans should be in the mix for the NBA Title.